Welcome To The Waterclub On Queens Quay. This Spacious 1 Bedroom + Den & Solarium Suite Features Designer Kitchen Cabinetry With S/S Appliances, Granite Counter Tops, Pot Lighting & A Glass Breakfast Bar. Soaring 10′ Ceiling With Large Windows Facing Direct South Lake Views. Steps To The Harbourfront, Queens Quay Terminal, Starbucks, Restaurants & HtO Beach. 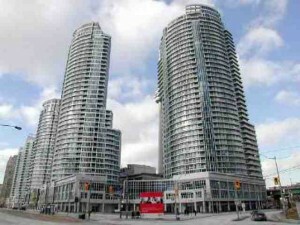 Minutes To Union Station, C.N. Tower, The Financial & Entertainment Districts. 1 bedroom + den + solarium, with 1 parking space and 1 locker.